Please see the following exciting D23 Expo 2015 announcement posted earlier today over on the official Her Universe blog. 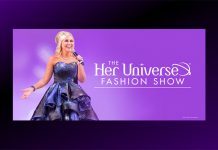 NEW YORK, NY – August 6th, 2015 – Groundbreaking fangirl fashion company, Her Universe™, announced that it will be making its first appearance at D23 EXPO 2015, Disney’s ultimate fan event held at the Anaheim Convention Center August 14th thru the 16th. 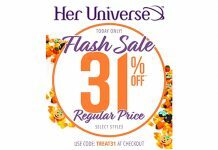 Some of the company’s most popular geek designs (both apparel and jewelry) and new exclusives from Star Wars and Marvel will be offered at two different Her Universe boutiques – Apparel Location A315 and Accessories Location C2005. In addition, with every purchase of $50 or more customers attending D23 will receive a FREE Her Universe lanyard (also available to purchase for $5.00) and each Her Universe boutique will have a FREE Star Wars or Marvel sticker to give away just for stopping by (while supplies last). 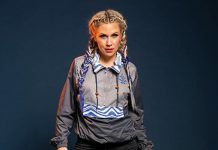 Ashley Eckstein, who is also the voice of Ahsoka Tano from Star Wars: The Clone Wars and Star Wars Rebels will be at the Her Universe booth greeting fans throughout the weekend and will be in the Disney/ABC TV Pavilion on Sunday from 6-7pm for a special meet and greet where fans will receive an exclusive Star Wars Rebels mini-poster. 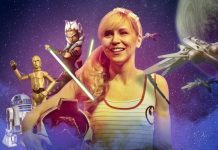 Make sure to follow Her Universe & Ashley Eckstein on Twitter, Facebook, Pinterest, Instagram and YouTube. To join the D23 EXPO conversation follow DisneyD23 on Twitter, Facebook, Pinterest, Instagram, and YouTube, and use the hashtag #D23EXPO.